Evolve Classic Crafted Meals Chicken Recipe Dog Food is made with select wholesome ingredients and slowly cooked to mouthwatering perfection! 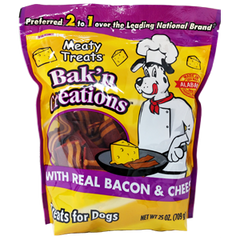 Great as a stand alone meal for smaller furry friends, or a dry food topper that will get those paws begging for dinner time! Your best friend will love the taste, quality, and nutrition that comes with this classic craft of a meal. Deboned Chicken, Water Sufficient For Processing,Chicken, Chicken Liver, Calcium Carbonate, Powdered Cellulose, Locust Bean Gum, Carrageenan, Sodium Tripolyphosphate, Salt, Canola Oil, Magnesium Carbonate, Ascorbic Acid, Copper Amino AcidChelate, Zinc Sulfate, Xanthan Gum, Vitamin E Supplement, Thiamine Hydrochloride, Pyridoxine Hydrochloride, Manganese Sulfate, Folic Acid, Calcium Iodate, Biotin, Vitamin D3 Supplement.